Aiden Markram will not rest on his laurels and continue to lean on the teachings of Durham legend Dale Benkentstein as the South African prepares for a four-game stint at the Emirates Riverside. 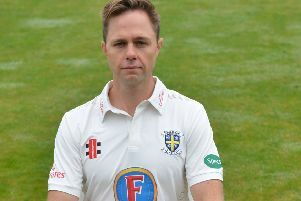 Durham secured the signing of the 23-year-old batsman for the opening four matches of their Specsavers County Championship Division Two campaign – starting with tomorrow’s home match against Kent (11am start). South Africa’s head coach Ottis Gibson and batting coach Benkenstein – both former Durham players – played a crucial role in convincing Markram to move to the Riverside to further develop his game following the outstanding start to his Test career. Markram has admitted that he will continue to take the advice of his batting coach, who scored 9,055 first-class runs for Durham and captained the team to their maiden triumph in the County Championship in the 2008 season, along with the Friends Provident Trophy in 2007. He said: “They played a lot of cricket here and have lived in this part of the world. Ottis recommended it, knowing the set-up here. “They sold it to me and I bought in right away. “It’s a great bunch of guys and I’m excited for the games to get started. “I’ve got a great relationship with Dale. I really enjoy working with him – I like his approach to coaching as well. “A lot of it is down to an awareness and a tactical point of view – he believes that players at this level and at international level are there for a reason. “A lot of it’s in the mind and with your tactical awareness, that’s where I think Dale is brilliant. “We get on really well. “He’s pretty much a legend of this club. I’ve been fortunate to work with him and learn from him. “If anyone knows this ground inside and out, it’s probably Dale. “I’ve spoken to him and I’m going to keep him close to me while I’m here. Markram comes fresh from an outstanding series for the Proteas against Australia, in which he top-scored with 480 runs, including two centuries. 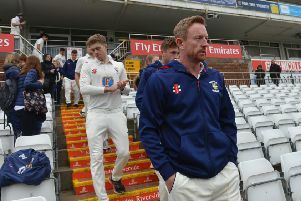 The South African, though, admits that facing the new ball in April will be a huge challenge as he adapts to English conditions, with the early-season Championship results suggesting that life will be far from straightforward at the crease. He added: “I’ve followed all the games online and it looks as though it’s going to be really tough. “It’s a good challenge to be faced with. It’s not something that’s really daunting, but if you prepare well and expose yourself to as much of it as you can, then you’re bound to get it right at some stage. “It’s going to be competitive and different. Kent come north having lost by five wickets to Gloucestershire in their opener, when Durham were without a match.